i was thrilled when williams-sonoma invited me to create a smoothie recipe for their smoothie week. i was excited to take the theme of "not your typical smoothie" and give it a holiday twist since christmas is just a few days away. christmas time is so special for us because we got engaged on christmas day in 2007. after ryan proposed, we had tiramisu for dessert. my mom made the tiramisu for dessert the year we got engaged, and keeping with tradition she has made it for dessert each year on christmas day since then. my mom's tiramisu is so delicious. (i shared her recipe here a few years ago.) it is a classic, and it has always been one of our favorite desserts. we especially love the special memories that it brings back for us each time we eat it. as soon as december rolls around, i start craving tiramisu. i was excited to put a twist on this classic dessert by taking the flavors from my mom's tiramisu recipe and translating them into a smoothie. the result was a delicious smoothie that is super indulgent. 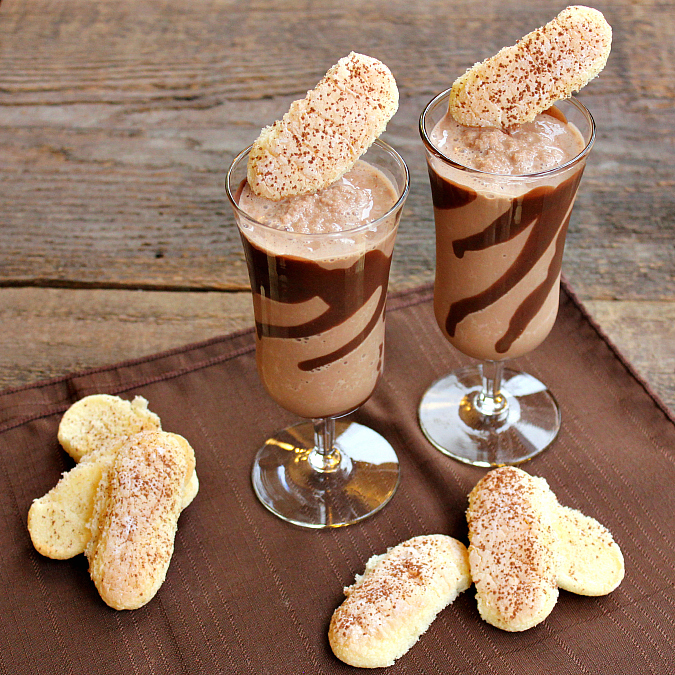 the combination of the espresso, cocoa, mascarpone cheese, and soft italian lady fingers give this smoothie an unmistakably distinct tiramisu flavor. it's dangerous how easy this smoothie is to make! ps: if you are in need of a blender, williams-sonoma has a ton of great options including traditional blenders and immersion blenders too which are great for pureeing soup. by the way, a blender would make a great christmas gift! dissolve the espresso powder in the milk. pour the milk into a blender, along with the cocoa powder, powdered sugar, mascarpone cheese, and three soft lady fingers. add the ice and blend until smooth. garnish with additional lady fingers dusted with cocoa powder, or whipped cream if desired. 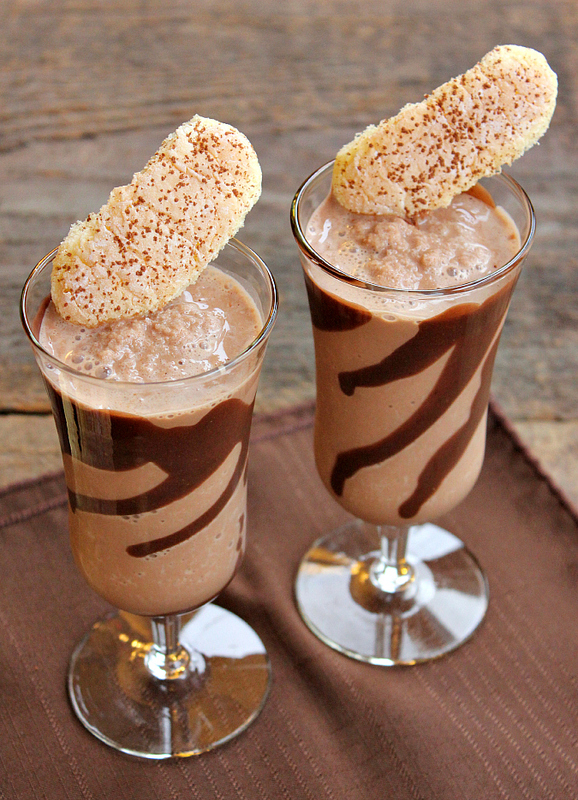 > mascarpone cheese gives this smoothie the classic tiramisu flavor. however, if you do not have mascarpone cheese on hand, you could substitute cream cheese in the smoothie. > be sure to use soft italian lady fingers instead of hard italian lady fingers. soft italian lady fingers can typically be found the in bakery section of most grocery stores. These look wonderful and that is so sweet of your mom to keep a tradition of making tiramisu in remembrance of your engagement. Wow, love the photos of the smoothies. That chocolate swirl makes it very inviting. 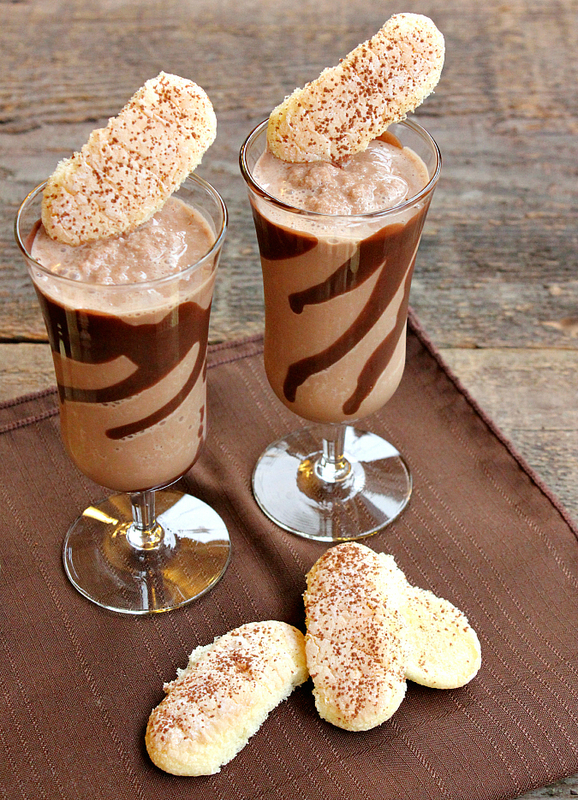 Great idea for a smoothies since Tiramisu is one of my favorite desserts and I love making it for you guys. You should become a food photograph, just one more job.